Immerse in Disney’s® world of animation while you meet the star Chef Mickey® and delight in delicacies from around the world. You may also relax with a cocktail and gorgeous garden view in Studio Lounge. Featured amenities including luggage storage and ATM/ banking services. 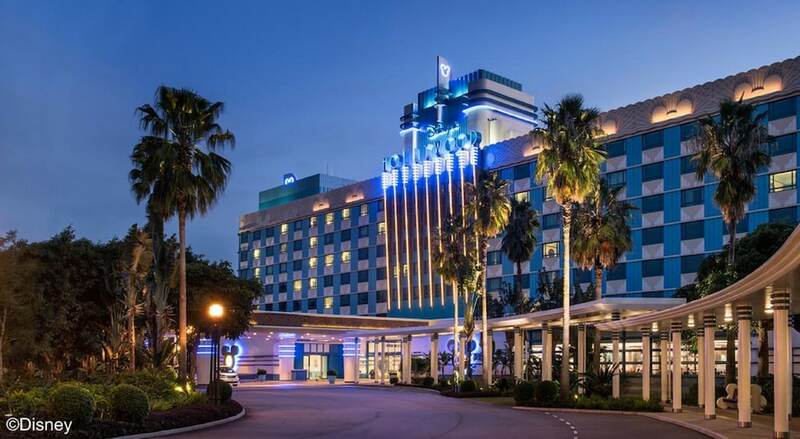 Make yourself at home in one of the 600 air-conditioned rooms combining Art-Deco architecture with Disney® elements, featuring a refrigerator and flat-screen TV. Private bathrooms feature shower/tub with hair dryers and complementary toiletries. Surround yourself in the glitz and grandeur of classic Hollywood at Disney's® Hollywood Hotel. Be front-and-center during an international buffet with Mickey Mouse, “take 5” in the piano-shaped pool, or stroll through a lush garden courtyard of vintage cars and famous landmarks. Combining stunning Art-Deco architecture with a dash of Disney® magic, Disney’s® Hollywood Hotel invites you to stay in a place where you are the star. Chef Mickey - Immerse in Disney's® world of animation while you meet the star Chef Mickey and delight in delicacies from around the world that he has specially prepared. Don't forget your cameras for capturing your special moments with Mickey! Studio Lounge - Relax with a cocktail as you enjoy the sophisticated Art Deco décor and a tasty snack or dinner. Hollywood and Dine - Dine like a Hollywood star in this fast casual eatery themed like the lobby of a classic movie palace. Be sure to enjoy recreational amenities including an outdoor pool and water slide.